Like so many others, I was not able to attend the //build/ conference (formerly known as the Professional Developers Conference or PDC). However, I did have the opportunity to watch the streaming keynote live and I’ve also spent a good portion of the day watching various twitter, Facebook, and blog posts from those who are attending. With so much coming out of Microsoft in one day it’s hard to keep up with everything being announced and talked about so I thought I’d put a few notes together around today’s event. 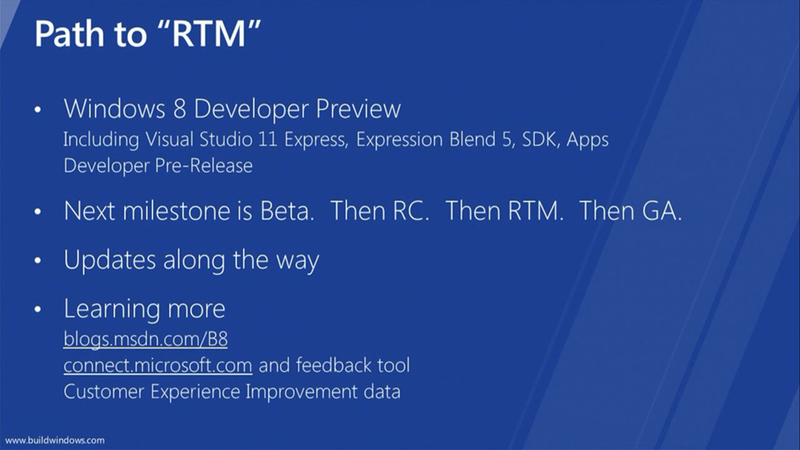 A pre-release version of Visual Studio “11” was also demonstrated and used for the various coding examples. The keynote did not go into the details of what’s new in Visual Studio so I will post more details on Visual Studio as they are made clear. A new (pre-release) version of Expression Blend 5 was demonstrated now with support for HTML and CSS! That is an awesome addition to the Microsoft development tools suite. 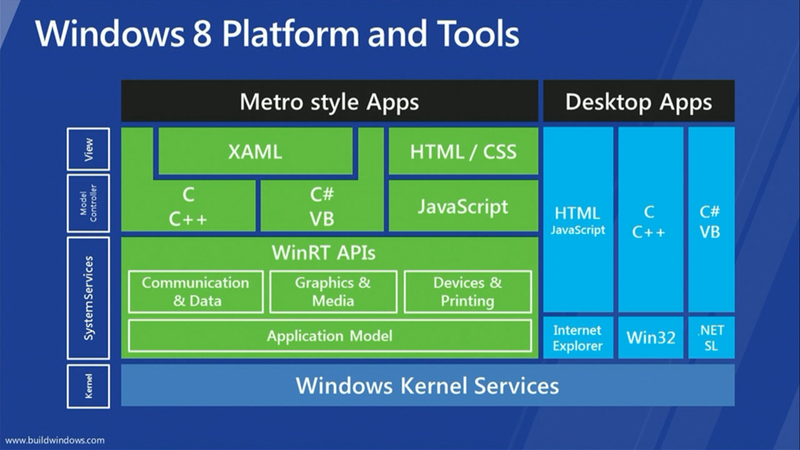 Windows Live integration is front and center in Windows 8. Modifying your applications to interact with SkyDrive, for example, requires minimal coding and is supported directly by Windows 8. Windows Live integration is present throughout Windows 8 with my favorite feature (although it wasn’t directly demonstrated) being the ability to synchronize your various settings (e.g. history, passwords, themes, etc.) via the cloud so they follow you around from device-to-device. If you’ve followed the PDC for the last couple of years you know that Microsoft has given some type of hardware to each of the (paying) attendees to help gain developer support. A couple of years ago, at PDC10, it was an Acer Table PC. Last year, it was a Windows Phone 7 device (I happened to be there and received an LG-900 Windows Phone 7 device). Once again, this year Microsoft did not disappoint and provided each of the attendees with a Samsung Windows 8 Developer Tablet (or PC as Microsoft calls it). To add to the already great gift, AT&T threw in a year of free 3G service (2GB/month)! Not a bad deal for the attendees! That’s Awesome! When Can I Have It? You can download any or all of the above releases here. Keep in mind that my observations below are a small part of what was seen and demonstrated today. I’m looking forward to the next few days of the //build/ conference and probably a few nights of little sleep :-) I have the preview version of Windows 8 downloaded and am preparing to install it as I type this post (I’m currently creating a bootable USB drive for the image). I have no doubt that I, along with thousands of others, will be blogging their experiences over the next days, weeks, and months ahead. It is going to be a fun ride!